Since fresh news on Prabhas is hard to come by, i move on to one of my favourite topics - Shooting Spot. In this post we will see the song location of Mellaga Song from Varsham, one of Prabhas's favourite songs. Many of you will be knowing that this song has been picturised at the Thousand Pillar temple in Warangal. 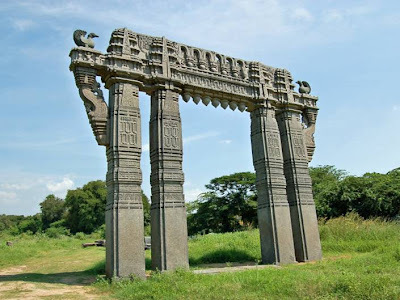 In fact, this song has been shot at three places of architectural significance in Warangal - The Thousand Pillar Pillar or the Veyyi Sthambala Gudi at Hanamkonda, the Warangal Fort and the Ramappa Temple at Palampet, all in Warangal. 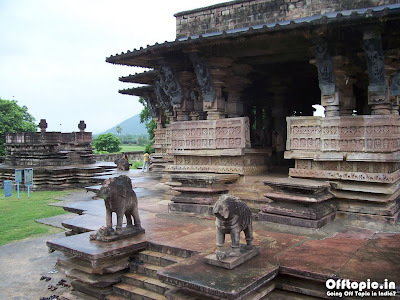 For those who are not aware of Warangal, Warangal or Orugallu or Ekasila Nagaram is a city and a municipal corporation in Warangal district in the Indian state of Andhra Pradesh. It is located in the Telangana region of the state. 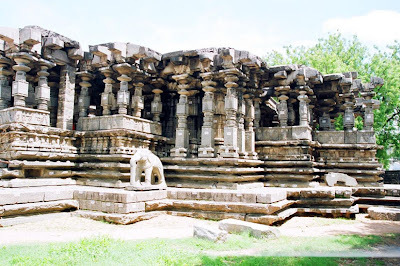 Warangal is 145 km northeast of the state capital of Hyderabad. 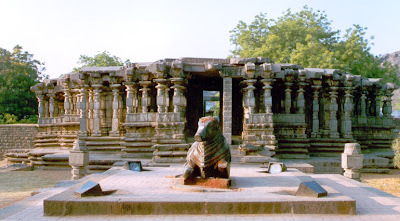 Warangal is the administrative seat of Warangal District. It is the fourth largest city in Andhra Pradesh. In these opening scenes you can see a wide canvas of the magnificent temple. 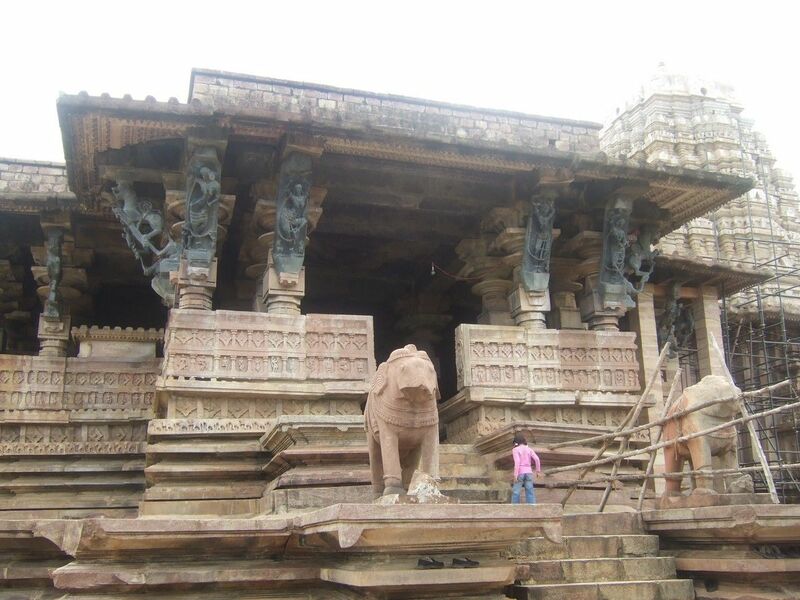 Prabhas himself gives a brief description of the temple in the movie when he says 'aa pakka gudi.. ee pakka gudi.. madhyalo nandi (a temple on that side, a temple on this side, a nandi in the middle).' See the temple on the left side in the first two screen shots? It's here the songs was shot. The temple on the right side is still used as a place of worship. The above scenes have been shot at the Warangal Fort. Though major part of the fort is in ruins, the grandness and intricacy of the sculptures can been seen in all that's left. Notice these places in the above screen shots? A couple of scenes appearing towards the end of the song have also been shot at the Warangal Fort. 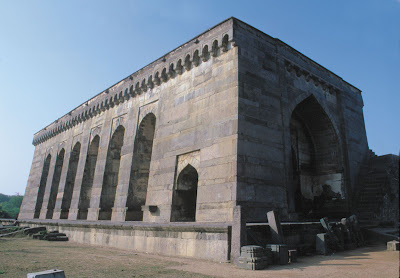 These were shot at the 'Khush Mahal' at Warangal Fort and was probably used as a audience hall. The third part of the song has been shot at the Ramappa Temple in Warangal. This temple is located at Palampet about 77 kms from Warangal city. This is said to the only temple in India which is named after it's architect and not the principal deity. 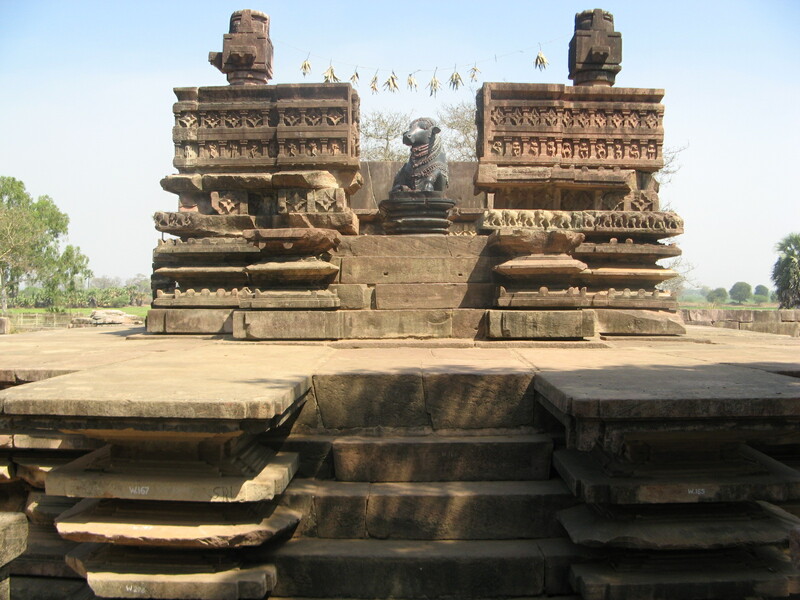 A closer view of the Nandi Mandapam at Ramappa Temple. You can see the damaged entrance to the temple in this screenshot. Probably some other entrance is used now. You can see Prabhas standing right in the above place in another song, which was shot fully at the Ramappa Temple. More about it in my later post. A Video on the Ramappa Temple. Definitely worth a watch. I have not dwelt much on the history and architectural significance of these places. You can see them in the videos i have put here and from the References given below. Love so much this topic so thank you again.